I brought bed bugs into our home after a work trip where I let them hitchhike with me from the hotel room via my suitcase. Note to self-do not put your suitcase on hotel beds! I luckily came across the bed bug barrier site, watched their video, bought everything and voila they were gone. 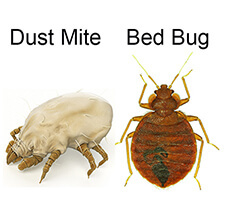 A bit of extra steaming required for our bed slats and bed head to kill the pests but it works and at a fraction of the cost the pest removalist was quoting – $2,400 for 3 visits, without any guarantee, not to mention toxic fumes. Very happy and highly recommend bed bug barrier.